APA applauds the Centers for Medicare and Medicaid Services (CMS) for dropping its plan to make changes to its Medicare Part D prescription program that would have eliminated protected status for certain antidepressants and, in the future, antipsychotics. The plan was met with heavy bipartisan opposition on Capitol Hill as well as from APA, patient groups, and other medical and mental health organizations that argued that it would severely limit access to valuable medications needed by Medicare beneficiaries. APA recently submitted letters to the CMS and Congress on the evidence base for continuing the protections afforded antidepressants and antipsychotics used for the treatment of Medicare beneficiaries. Rep. Tim Murphy (R-Pa.) quoted APA's letter in his questioning of a CMS official in which he strongly opposed the agency's proposed removal of protected status for the two classes of psychiatric drugs. 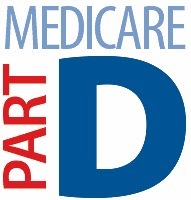 Medicare's Part D program has six protected drug categories. CMS proposed eliminating two of those starting in 2015—antidepressant drugs and those that help suppress the immune system. The agency also said in its draft rule proposing to eliminate the classes that it was considering dropping protected status for antipsychotic drugs in 2016.